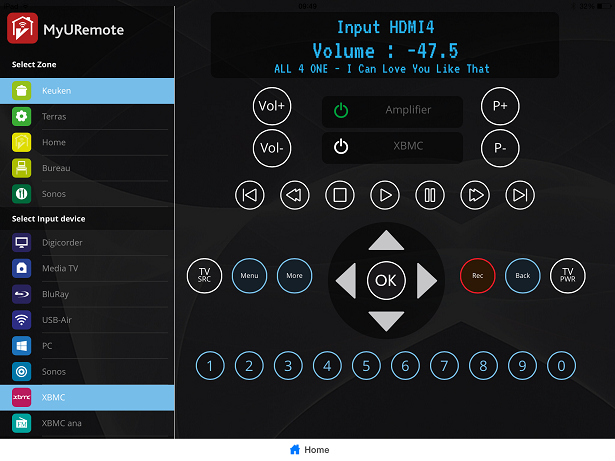 MyURemote selected Kodi (XBMC) as the standard 3rd party application, with full library integration and IP control. 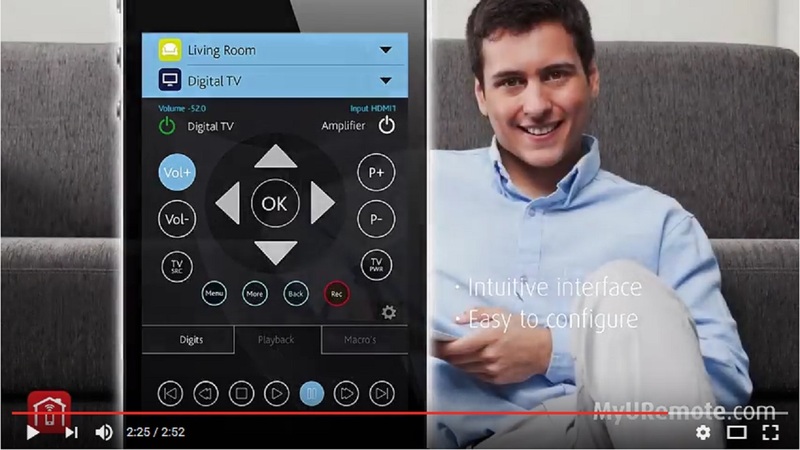 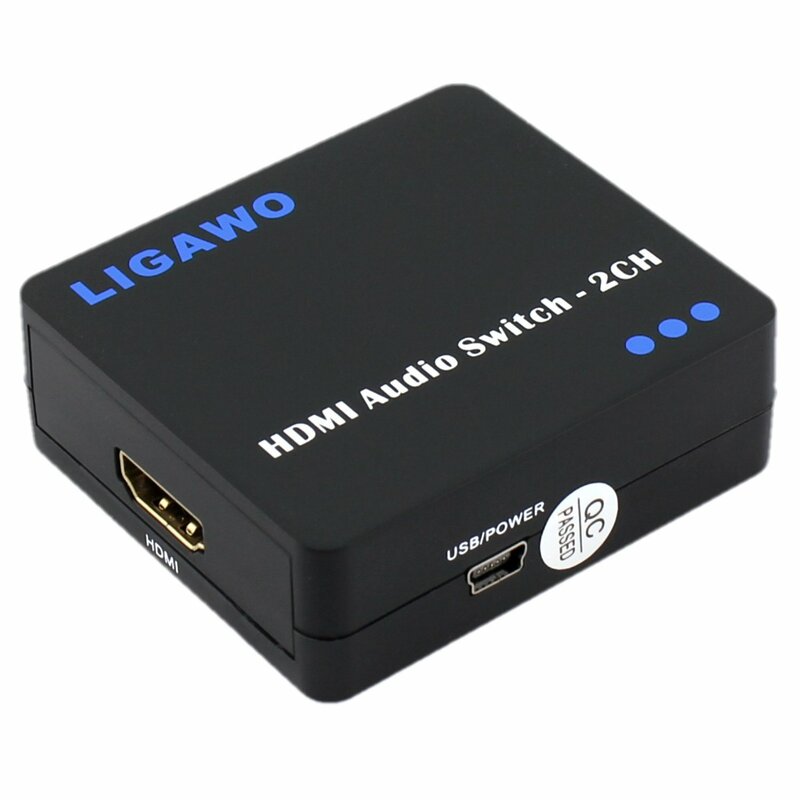 This is the ultmate way to integrate Multimedia and Audio/Video control. 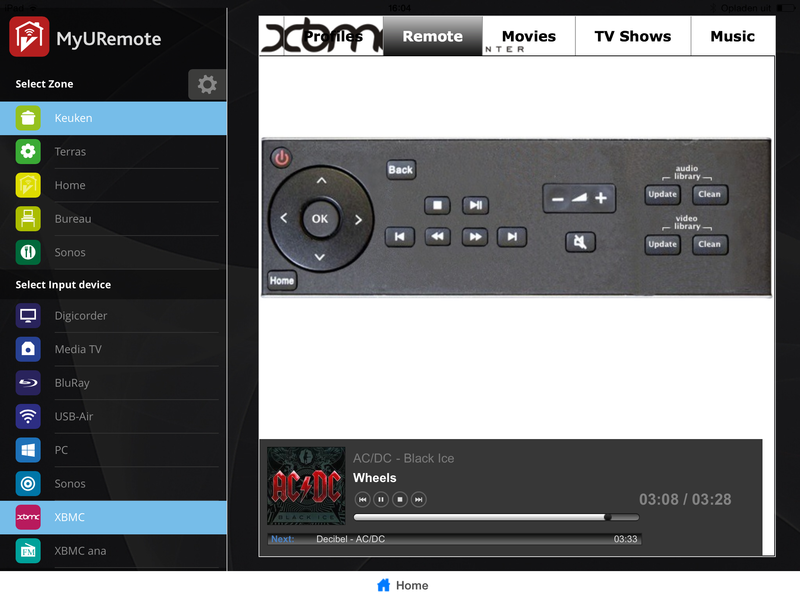 Like with any other device supported by MyURemote, it is possible to control the XBMC media server. 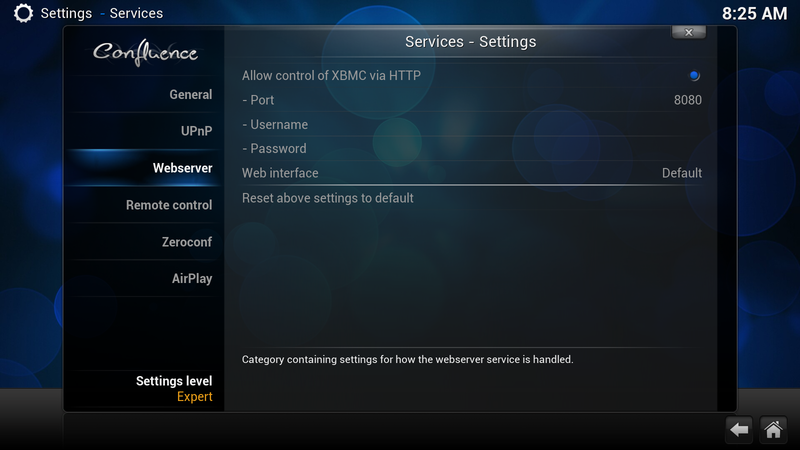 Open the configuration panel with your webbrowser and log in. 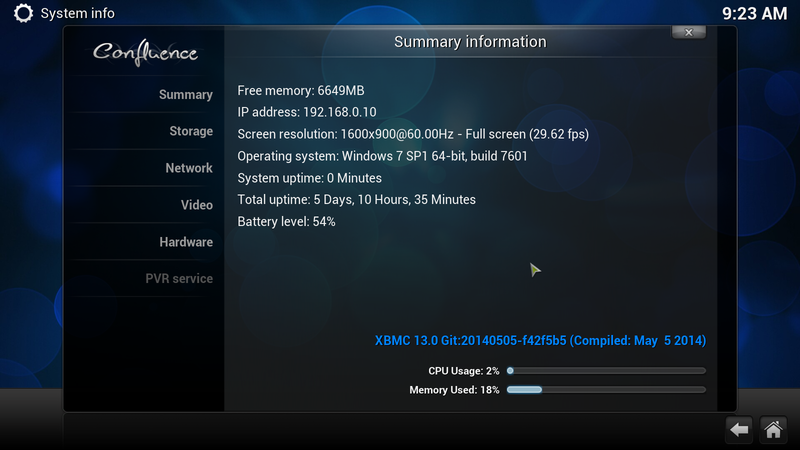 Enter the IP address (see system info) and the TCP/IP port (= normally 8080). 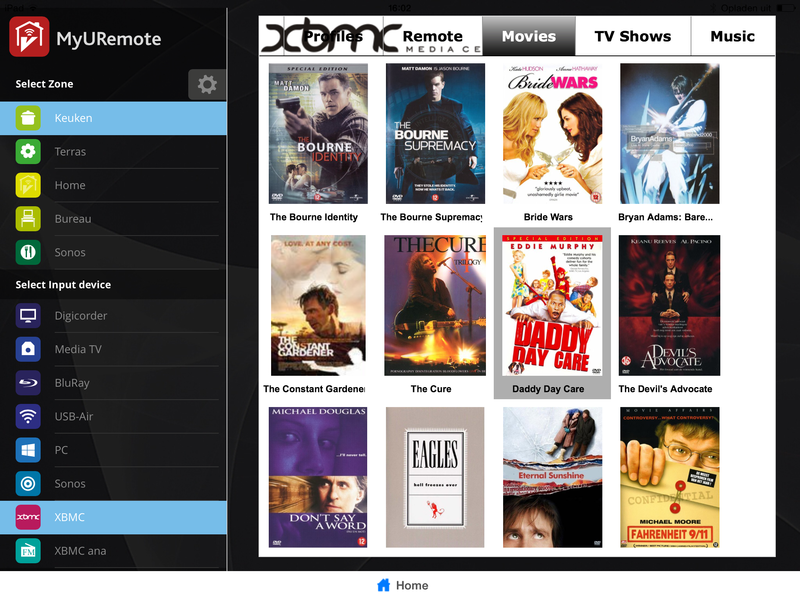 Select TAB (zone) and enter label for the XBMC button. 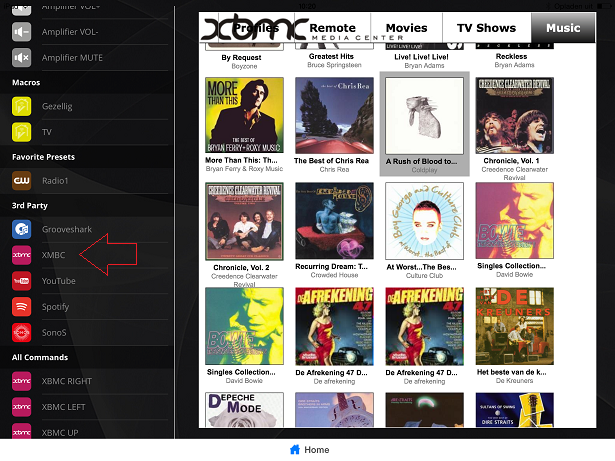 enter IP address and Port: syntax = IP:PORT (fi 192.168.0.245:8080).